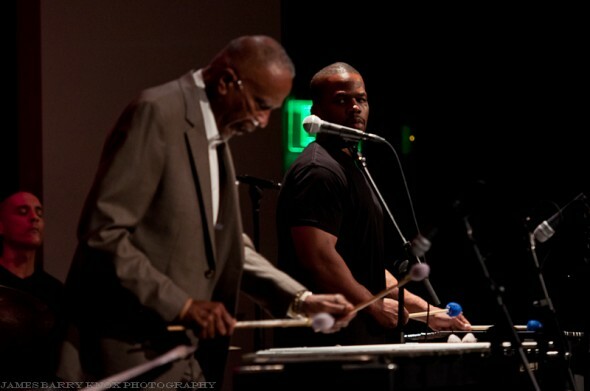 Vibraphone legend Bobby Hutcherson was born on this day in 1937. 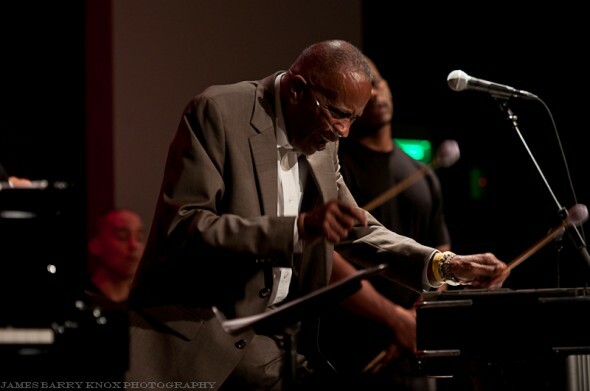 I first heard Bobby live in an SFJAZZ concert in 1999 celebrating three generations of vibraphonists featuring the great Milt Jackson and young lion Stefon Harris. It was an incredible night of music. I had the opportunity years later to ask Stefon Harris his thoughts on that evening and he was still mesmerized from that great night of music. I most recently heard Bobby at Yoshi’s San Francisco for his pre-birthday concert. Bobby has had some health challenges in recent years but this night he was on fire. He played a 90 minute set of original compositions and standards including “I Thought About You”, “S’Wonderful” and a reflective rendition of “I’ll Be Seeing You.” In addition to being a fine musician, Bobby has a great sense of humor. There was even a moment during “S’Wonderful” when Bobby sang some of the lyrics. His stellar band included fellow vibraphonist Warren Wolf, Anthony Wilson on guitar, Glenn Richman on upright bass, Joe Gilman on piano, and Bobby’s son, Barry Hutcherson held down the drum chair which was previously held by drummer great Eddie Marshall who passed away last year. Happy Birthday, Bobby! Please keep bringing us your wonderful music! This entry was posted on Friday, January 27th, 2012 at 9:47 pm. It is filed under Concert Reviews, Photography, Yoshi's and tagged with Anthony Wilson, Barry Hutcherson, birthday celebration, Bobby Hutcherson, Glenn Richman, Joe Gilman, Milt Jackson, San Francisco, Stefon Harris, Yoshi's. You can follow any responses to this entry through the RSS 2.0 feed.